Straight out of South Africa comes the poignant tale of Ida Morgan: her husband murdered, abandoned by God, and alone in the world. Ida’s road to healing and wholeness is paved by diamonds in the dust. Author Shirley Mowat Tucker is a native South African who, through the eyes of Ida Morgan, leads the reader into her country’s secret places… places where there are still wicked men doing wicked things… places where the innocent and defenseless are preyed upon… places drenched in the same bitterness and grief that Ida Morgan now understands first hand. Narelle: Widowed and childless, Ida Morgan lives in her secure and comfortable home and struggles to rebuild her life after her husband’s brutal murder a few years earlier. She rescues a young girl from a plastic garbage bin floating in a swollen river and begins a life changing adventure that will challenge her attitude and beliefs concerning the plight of orphaned children. A fast paced story ensues with a cast of characters who pulled at my heart strings and drew me into their incredible story of survival and hope against unspeakable evil and danger. The social fabric of South African society is exposed and the characters are inspired to leave their comfort zone and take action to right some of the wrongs in their community. 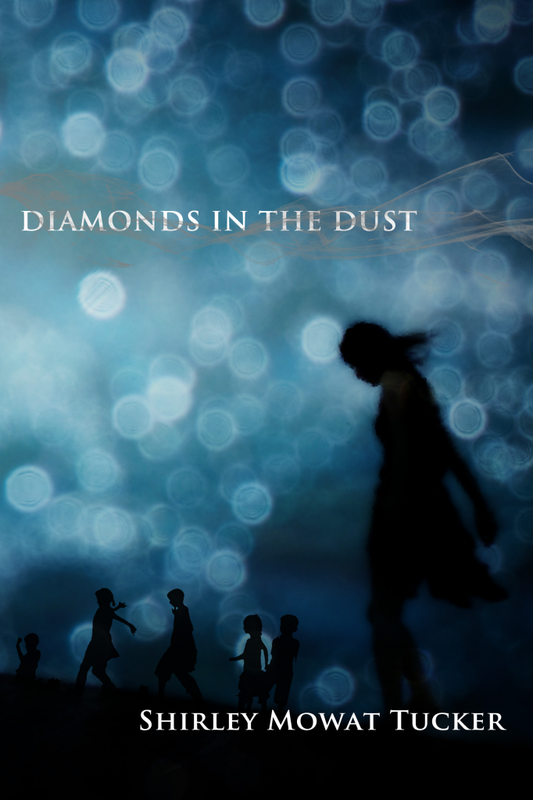 Diamonds in the Dust is a beautifully plotted page turner that I couldn’t put down and read within twenty-four hours. A captivating and honest story of forgiveness and redemption, I recommend this book to those looking for a compelling and thought provoking story that tackles tough social issues. In August we are featuring Bible studies on Hannah, David and Bathsheba plus Ahab and Jezebel from our People of the Old Testament Bible study series. The leader’s guides will be released in two eBooks. The first eBook will feature two studies on Hannah and two studies on David and Bathsheba. The second eBook will feature two studies on Ahab and Jezebel. Narelle: I was talking with my friend Karinne the other day and she mentioned she had read this great book. When she purchased the eBook she had no idea it was a Christian book until she was part way through the story. Karinne has very kindly written a book recommendation for us. Karinne: This is a captivating young adult book based around the faerie tale of Sleeping Beauty. 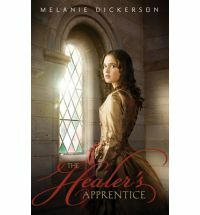 The story follows Rose a woodcutter’s daughter engaged as a healers apprentice and Hamlin the heir to a dukedom. Both characters struggle with their duties and situation in life as well as their relationship with God. Dickerson will capture you in this tale with the characters sense of duty and situation in society. I found myself being pulled and pushed along with the characters while they discover themselves and the plan that is in place for them. I would recommend this book to anyone who is looking for a good faerie tale adaption for teenagers or young adults with romance and dark mysterious characters, and a strong message about faith in God. A young Chinese woman, Zhen-Li—raised to observe the party line, including its one-child-per-family doctrine—falls in love with and marries a Christian, and adopts his faith. Though the couple downplays their Christianity in an effort to survive, Zhen-Li’s family is appalled, and she and her husband are ostracized. When she becomes pregnant for the second time and refuses to have an abortion, the persecution begins in earnest. Zhen-Li’s parents, under pressure from the government, pay to have Zhen-Li kidnapped and the baby aborted. It is then Zhen-Li decides she must live up to her name—”Truth”—and take a firm stand for her faith, regardless of the consequences, and so she begins to regularly teach children about Zhu Yesu (“Lord Jesus”) and to distribute Christian literature every chance she gets. 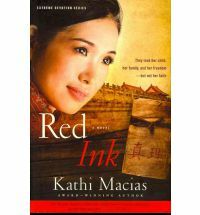 Narelle: Red Ink is one of those books you will remember long after you finish reading. Zhen-Li’s story will stir your emotions as you journey with this courageous young woman who faces extreme persecution and pressure to recant her faith. Kathi Macias has written an inspiring and challenging story. The true state of the hearts of the characters is exposed in an honest portrayal of the lengths people will go to achieve their selfish agendas. The power of intercessory prayer is masterfully shown as characters stand firm in the face of evil. I highly recommend Red Ink to those looking for a story that will touch that place deep inside them and lead them to question how much suffering and hardship they would be prepared to endure when standing up for their beliefs. Bay Anders is lost. She enjoys every privilege a wealthy upbringing affords, but the void in her soul refuses to be filled. Her mother’s dying revelation drives Bay to the brink of self destruction, before a move to Australia changes everything. She embarks upon a search for her father that leads her to his island home, into a hazardous melting pot of hostile locals and a mystery – her father’s disappearance. The only person who can help her is a strong, self-assured and intensely magnetic man. Bay must fight an overwhelming attraction to stay focused on her goal. Flynn McKenna is hiding from the world. A past filled with mistakes drove him to withdraw from society and live in seclusion. But the arrival of a woman he cannot avoid shatters his solitary existence. As the search for Bay’s father unites them, can he resist his desire for her? Narelle: I really enjoyed reading this book. Bay and Flynn are fascinating characters who you’ll want to get to know as their relationship develops throughout the story. There are a number of humourous moments as city girl Bay adapts to life on a remote North Queensland island. There was also an honesty in the way the author portrayed the growing attraction between Bay and Flynn and this book could be considered ‘edgy’ by more conservative readers. The setting is gorgeous and I became absorbed in an idyllic tropical island setting that I didn’t want to leave when the book ended. 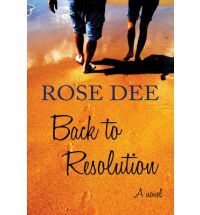 Back to Resolution is Book 1 in Rose Dee’s series and I’m looking forward to reading Book 2, Beyond Resolution. I recommend this book to those looking for a fun and romantic contemporary story set in Australia.